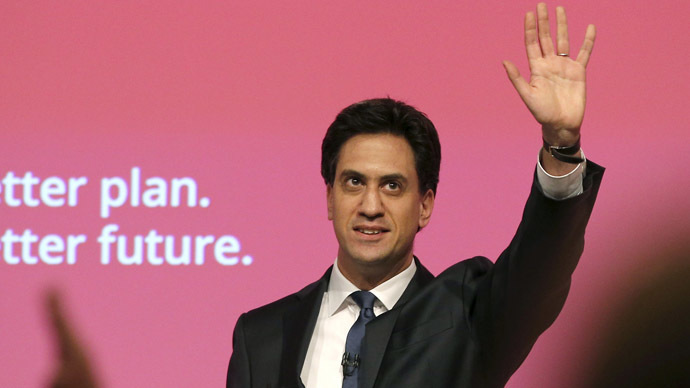 Labour Party leader Ed Miliband has pledged to scrap Britain’s non-domicile tax rule if he wins the general election. The antiquated tax break allows some of the state’s wealthiest permanent residents to avoid paying UK tax on their global income. A brainchild of William Pitt the Younger, the age-old tax break harks back to colonial Britain. It has been open to abuse since its founding in 1799, and compounds inequality across the state. Miliband unveiled his promise to scrap the controversial rule after business leaders from 30 of Britain’s biggest firms signed a letter warning about a future Labour government’s lack of economic prudence. A world-renowned tax justice campaigner, Murphy argued the non-dom rule allows Britain’s wealthiest residents to hold valuable assets outside of the UK, and use tax havens to avoid tax on them altogether. The non-domicile status, often abbreviated to “non-dom,” is a unique characteristic of Britain’s tax system not shared by any other state. It allows gilded individuals born, raised and living in Britain to pay much less tax than an ordinary UK citizen without so much as a legal qualm. Because it is absent from Britain’s official statute and has never been formally written into law, the criteria for claiming this status are complex and poorly defined. The tax break is dependent upon the principal that people may live in Britain but consider a foreign state their homeland – and the country in which they intend to die. Eligibility requires people to prove that their father or grandfather was born abroad. In keeping with the tax break’s colonial-era origins, mothers and grandmothers don’t apply. Non-doms must also prove a foreign state is their true home by means of a property holding, grave or otherwise. A non-dom need not spend any time in the country they supposedly view as their homeland or pay tax in this jurisdiction. And in the absence of such residency obligations, they may spend as much of each tax year in Britain as they like. In the event a wealthy individual succeeds in persuading British tax authority HMRC of their non-dom status, they can reap substantial financial rewards. While British citizens are obliged to declare and pay UK tax on their income worldwide, non-doms are only compelled to pay tax on their UK income. As a result, offshore investments or foreign bank accounts can legally be left undeclared in Britain, meaning tax is avoided on these assets in the UK. The non-dom status can also be used as a vehicle to aid the ultra-wealthy in avoiding inheritance tax, though this often necessitates the additional deployment of offshore trusts. Tax justice campaigner Murphy said Labour’s proposed non-dom reforms would undermine Britain’s role as a global tax haven, level the playing field of an unequal tax system, and free up hundreds of millions of pounds each year. He said the policy change would prevent wealthy UK residents from being offered “an undue tax advantage,” halt abuse of the tax system and stop companies owned by non-doms from accessing cheaper capital than their domiciled counterparts. Should Labour win May’s general election, Miliband’s proposed non-dom reforms would be implemented in April 2016. They would likely affect 115,000 people who currently reside in the UK. Miliband said on Wednesday a “moral” case exists for scrapping the antiquated tax rule. In response, Chancellor George Osborne said Miliband’s proposal was an example of the sort of “economic confusion” that would occur under a Labour government. During a leaders’ debate in Scotland on Wednesday, Scottish National Party (SNP) leader Nicola Sturgeon said she would work with Labour to oust Prime Minister David Cameron from government.